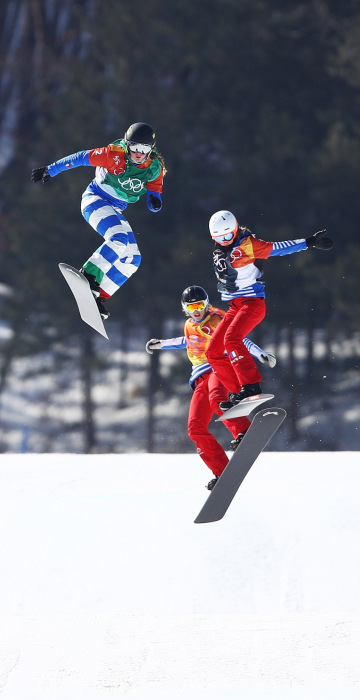 Skater Kodaira wins the 500m, France takes gold in biathlon, and more highlights from Day 7 through 9 of the PyeongChang Winter Olympics. Janine Flock of Austria finishes her first run during the women's competition on Feb. 16. 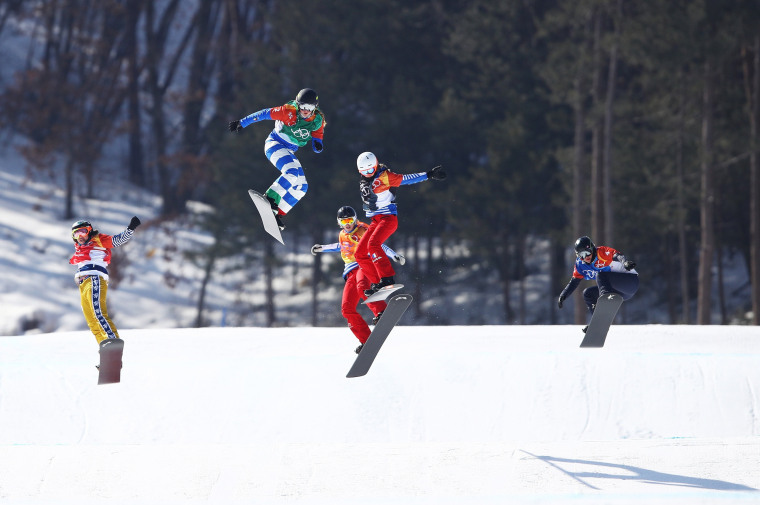 Michela Moioli of Italy, second left, leads the pack during the women's cross big final on Feb. 16. Moiolini won her first Olympic gold medal. 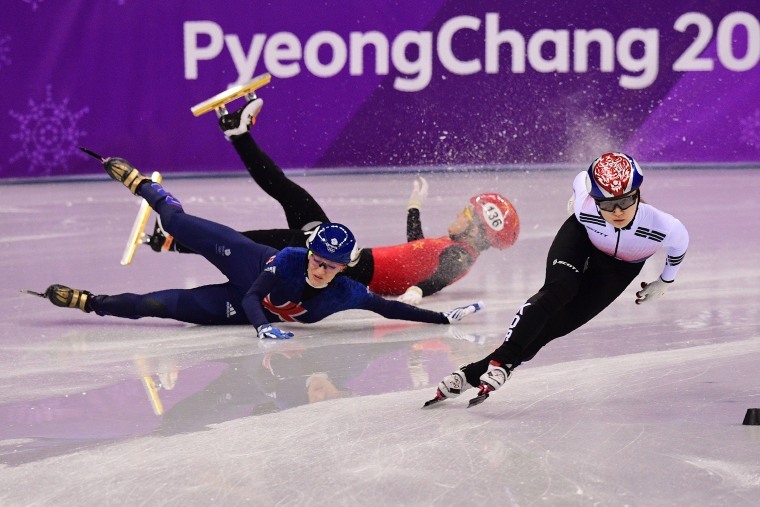 South Korea's Choi Minjeong, right, competes as Britain's Elise Christie, left, and China's Li Jinyu fall in the women's 1,500-meter short track semifinal on Feb. 17. 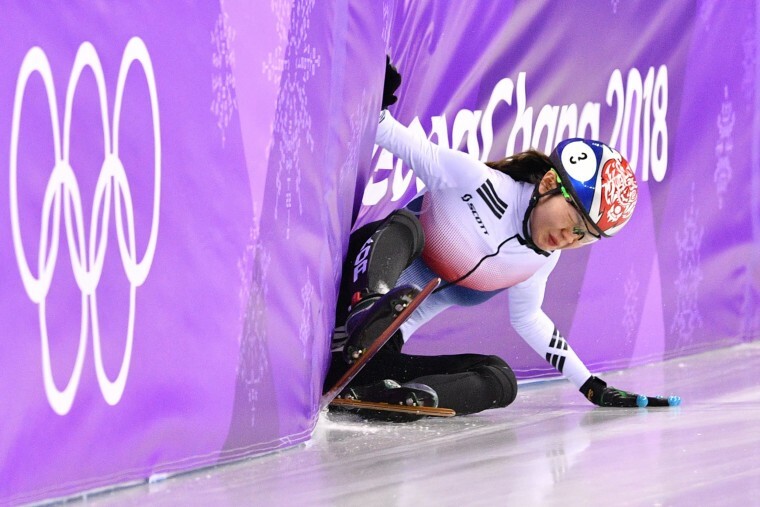 South Korea's Shim Sukhee falls in the women's 1,500-meter short track speed skating heat event on Feb. 17. 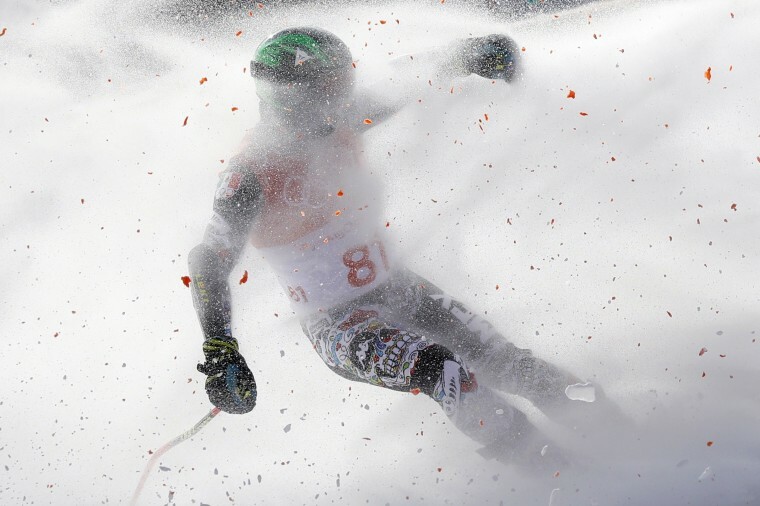 Rodolfo Roberto Dickson Sommers of Mexico competes in the men's giant slalom on Feb. 18. 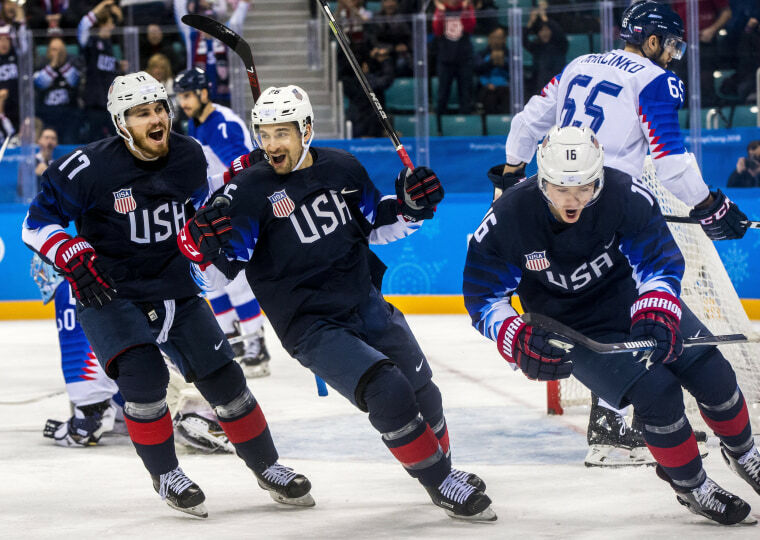 Ryan Donato, right, of the United States celebrates with his teammates after scoring during a men's preliminary-round match against Slovakia in Gangneung on Feb. 16. Anastasiya Kuzmina of Slovakia waves the flag as she crosses the finish line, winning the gold medal in the women's 12.5-kilometer mass start biathlon on Feb. 17. 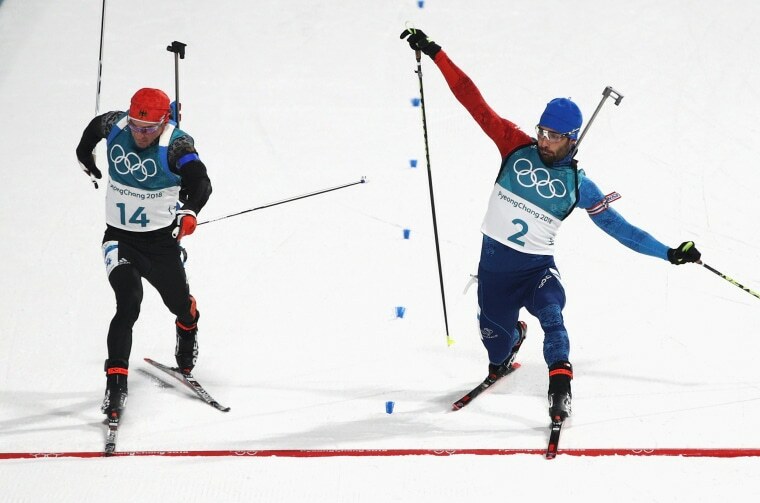 Martin Fourcade of France, right, wins the gold medal from silver medalist Simon Schempp of Germany during the men's 15-kilometer mass start biathlon on Feb. 18. Fourcade captured his second gold medal of the PyeongChang Games. 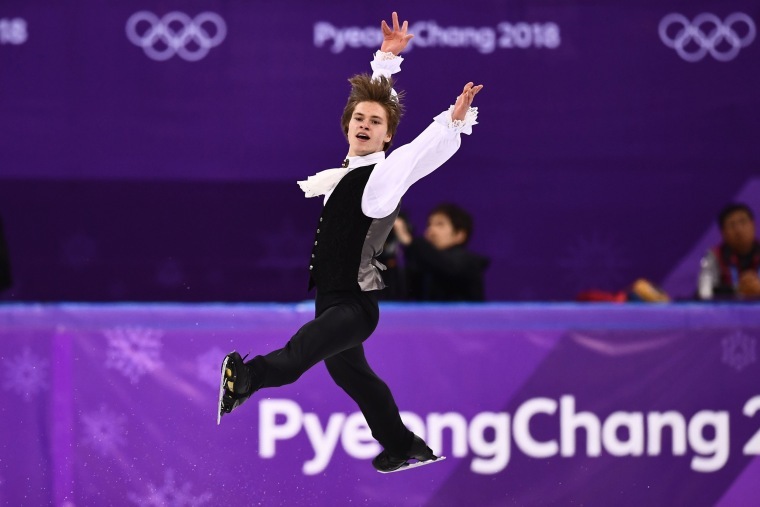 Latvia's Deniss Vasiljevs competes in the men's single skating short program on Feb. 16. 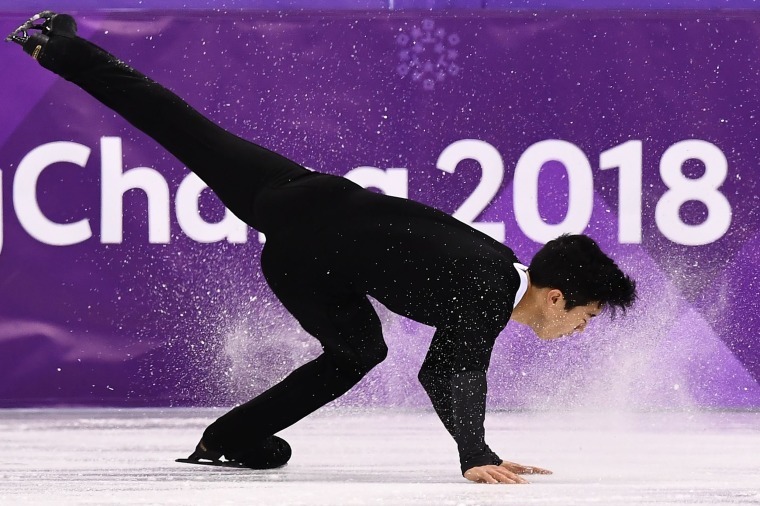 Cha Junhwan of South Korea competes in the men's single skating short program on Feb. 16. 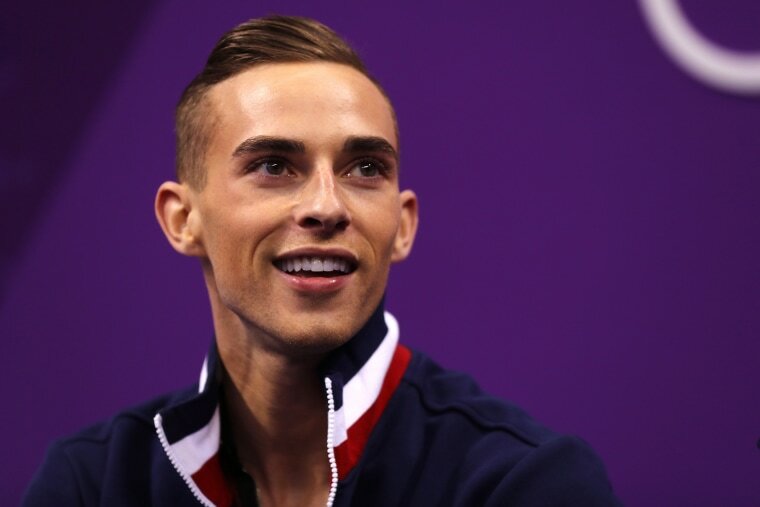 Adam Rippon of the United States smiles after competing in the men's single skating short program on Feb. 16. 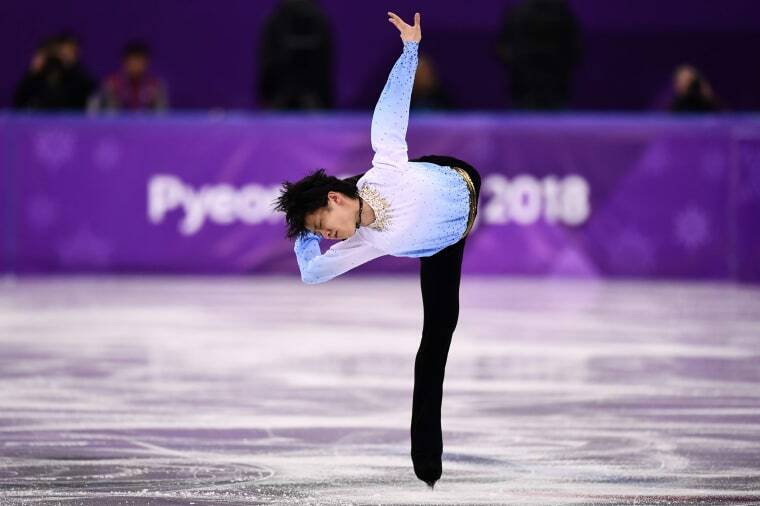 Japan's Yuzuru Hanyu competes in the men's single skating short program on Feb. 16. 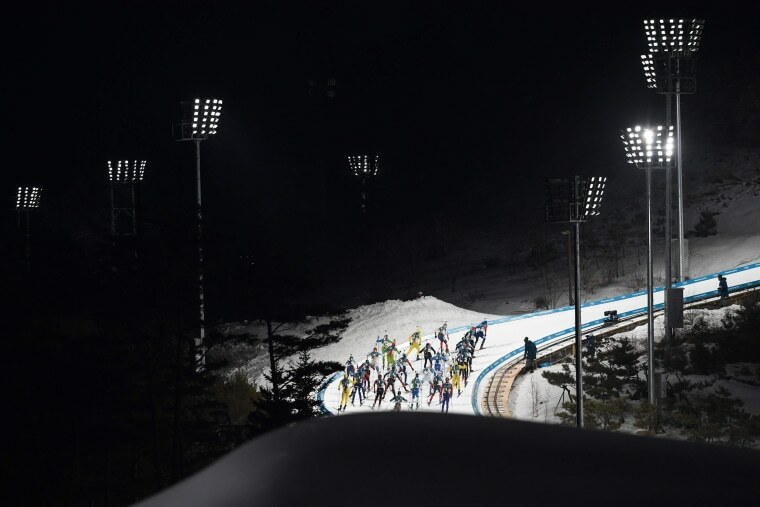 Athletes compete in the men's 15-kilometer mass start biathlon on Feb. 18. 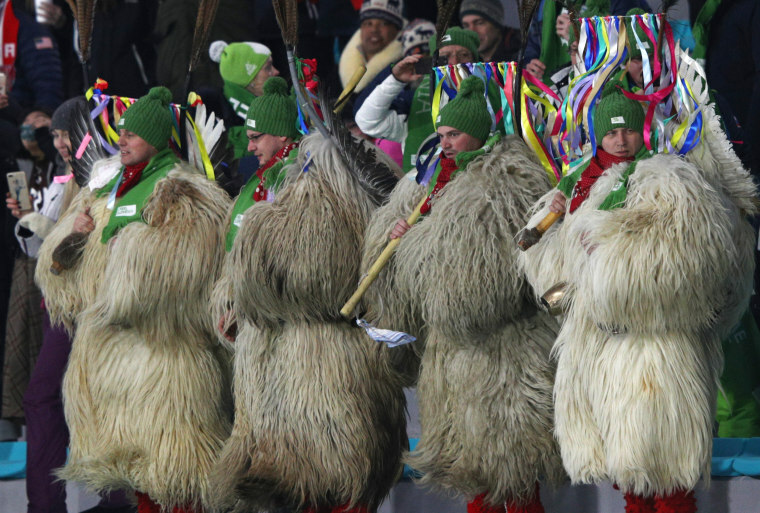 Slovenia fans cheer on their athletes during the men's 15-kilometer mass start biathlon on Feb. 18. 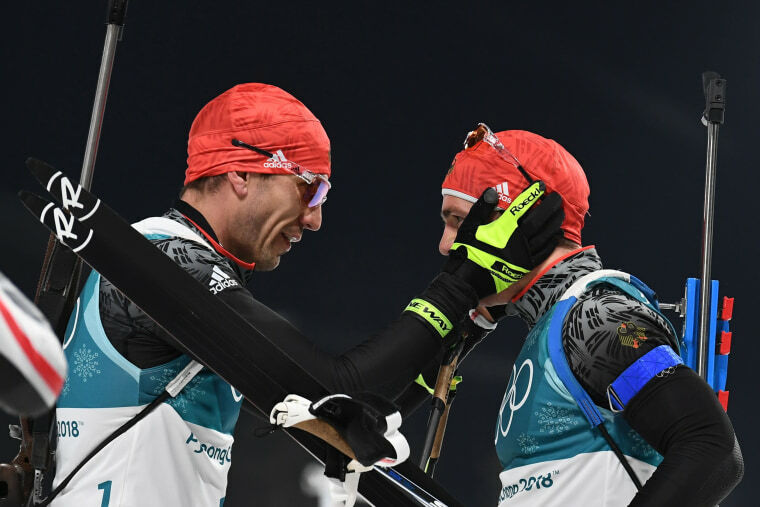 Germany's Arnd Peiffer congratulates silver medal winner Simon Schempp of Germany at the finish line of the men's 15-kilometer mass start biathlon on Feb. 18. Japan's Nao Kodaira celebrates on the podium after the women's 500-meter speed skating race on Feb. 18. 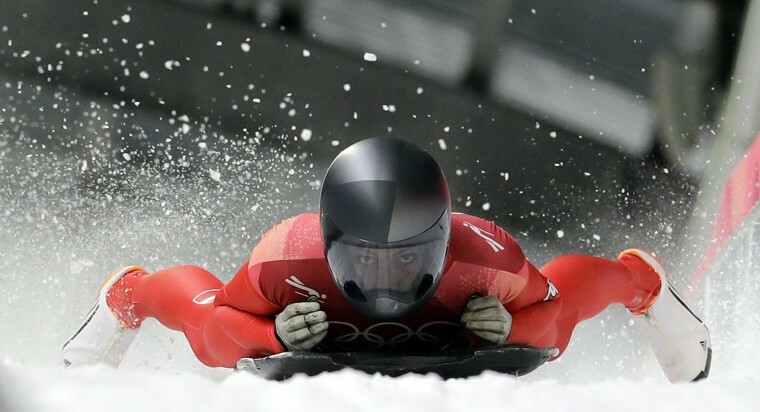 Kodaira, the reigning world champion, won with a time of 36.94 seconds. 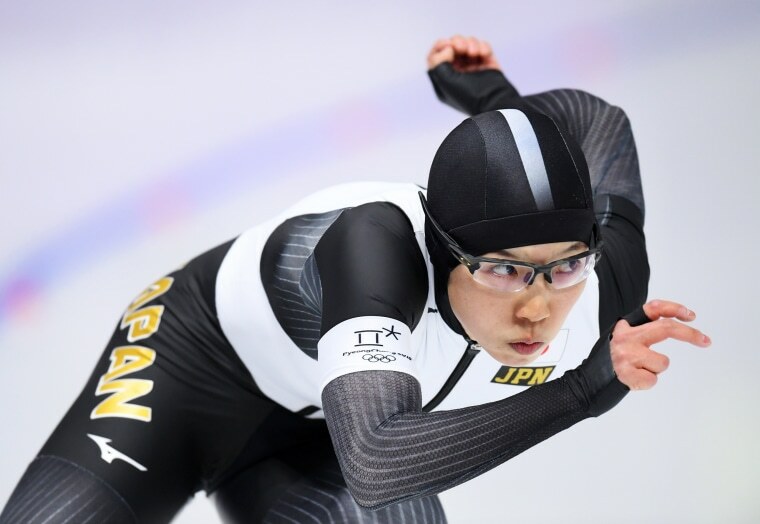 Nao Kodaira of Japan competes in the women's 500-meter individual speed skating final on Feb. 18. 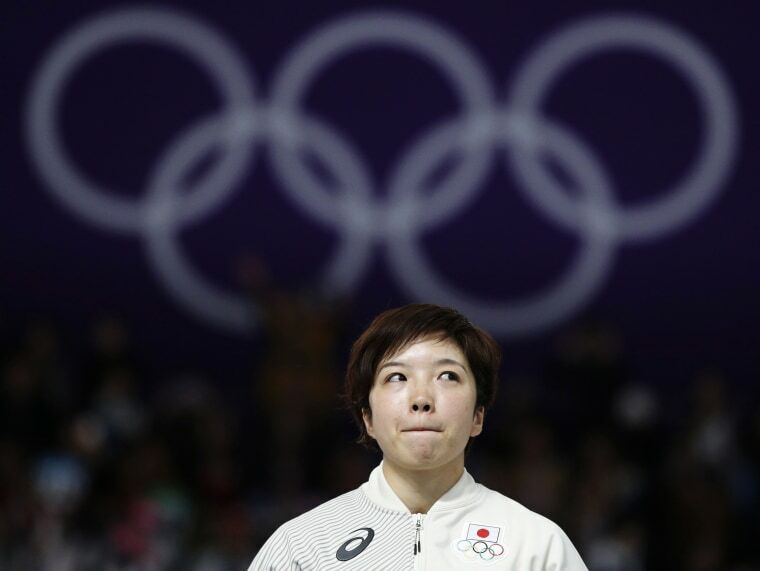 Kodaira won her first Olympic gold medal. 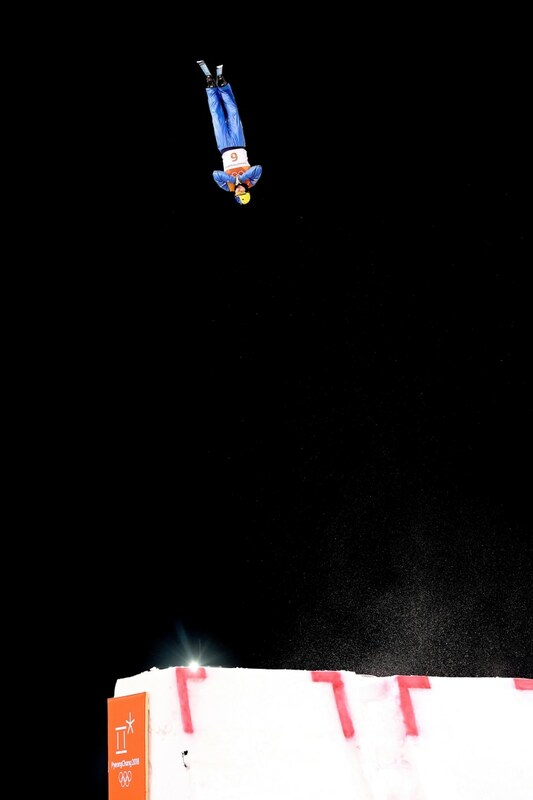 Oleksandr Abramenko of Ukraine competes in the freestyle skiing men's aerials final on Feb. 18. 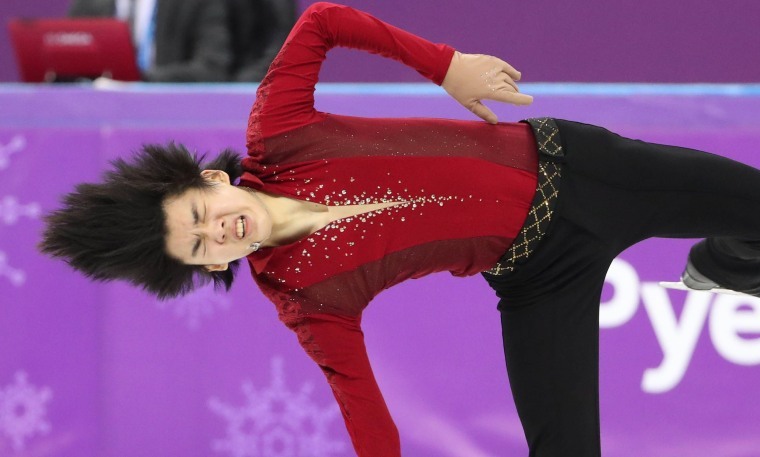 Nathan Chen of the United States competes in the men's single skating free skating on Feb. 17. 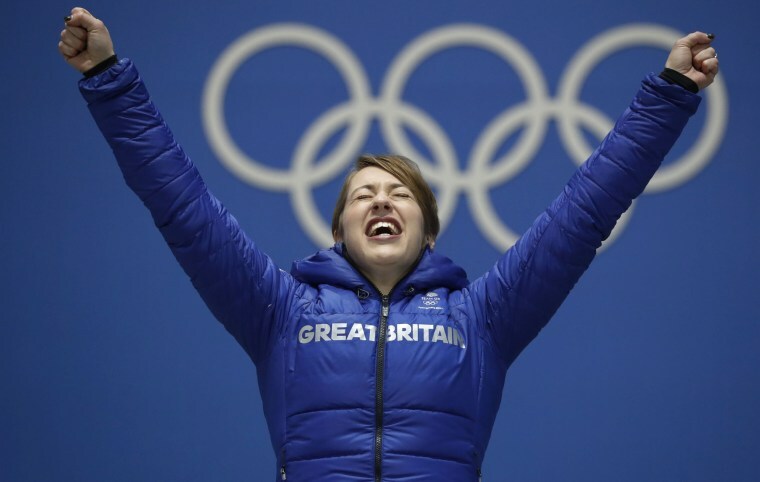 Lizzy Yarnold of Britain stands on the podium during the medal ceremony for women's skeleton on Feb. 18. 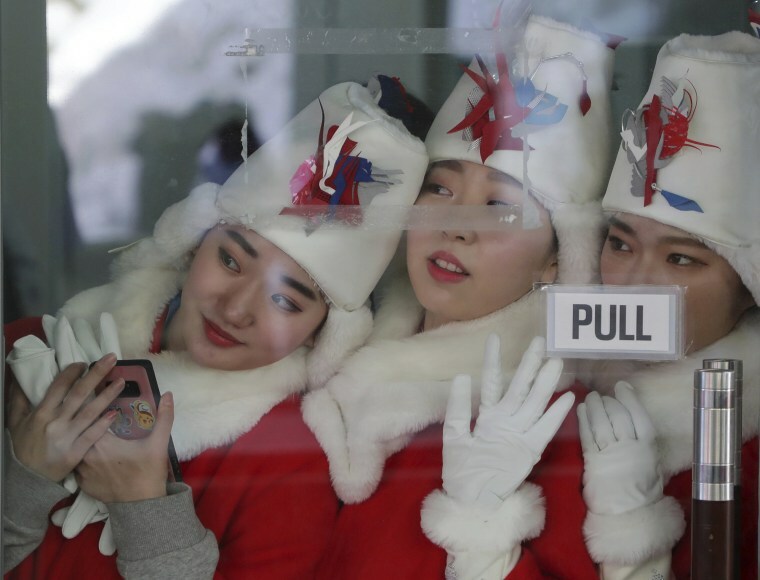 The women who hand out the awards for the winners' ceremony watch the sliders during the men's skeleton final on Feb. 16. 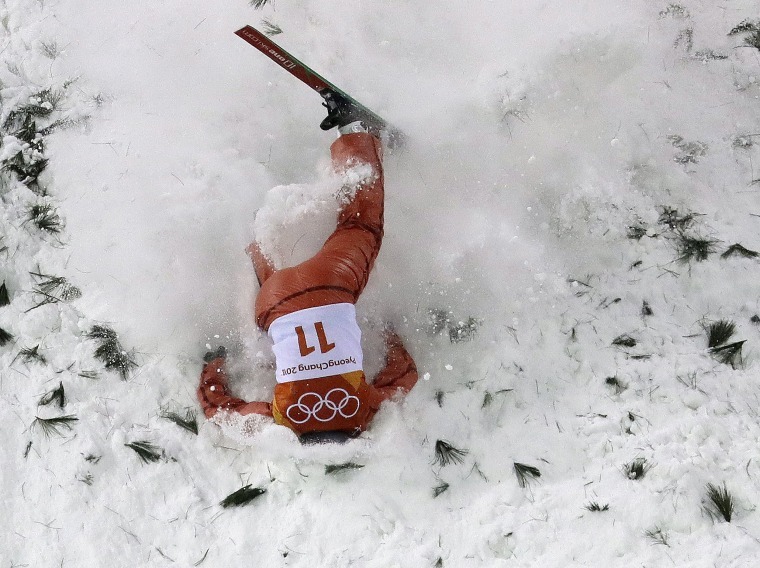 Alla Tsuper of Belarus crashes during the women's freestyle aerial final on Feb. 16.